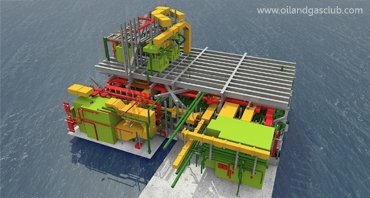 Microstation is the most powerful, scalable and inter-operable CAD software for design, construction and operation. +–What is the objective of microstation training ? Microstation is the most powerful, scalable and inter-operable CAD software for design, construction and operation. Microstation V8 2004 edition sets the direction for the continued evolution of Bentley’s “V8 Generation” products. This topic highlights the 2004 edition enhancements to microstation. +–Who should attend this course ? +–What is the duration of microstation training? ▸▾What is microstation V8 & Why is microstation V8 needed ? Micro station is a two and three dimensional design and drafting moulding tool. Micro station is the most powerful, scalable, and inter-operable CAD software to design, construction and operation. Micro Station V8i course main intend is to provide high quality of 2D design training within the fields of civil engineering, mechanical engineering and architecture design and also explore the tools for detail drawing according to industrial standards and specifications. This course has been designed for companies and people who are looking to improve their knowledge in the design field. ▸▾Who are the microstation course trainers? Our trainer has over 14 years of experience in fertilizer, power, pharmaceutical and oil and gas. He has through knowledge of proficiency in all aspects of auto desk AutoCAD 2D/3D, inventor; bentley micro station V7, V8, V8i (SS1 and SS2), in roads; inter graph Smart Plant Review (SPR), created, managed and modified project related databases using SQL server the bridge abutment drawing, featuring modify solid entity by vertex, copy with mirror, adding pedestals and unite solids, set up from 2D road profiles, elevation data in excel, using a fixed origin (unchecked default floating origin with GS), area measurements, create complex shape. ▸▾Pay-scale of Microstation Designer ?